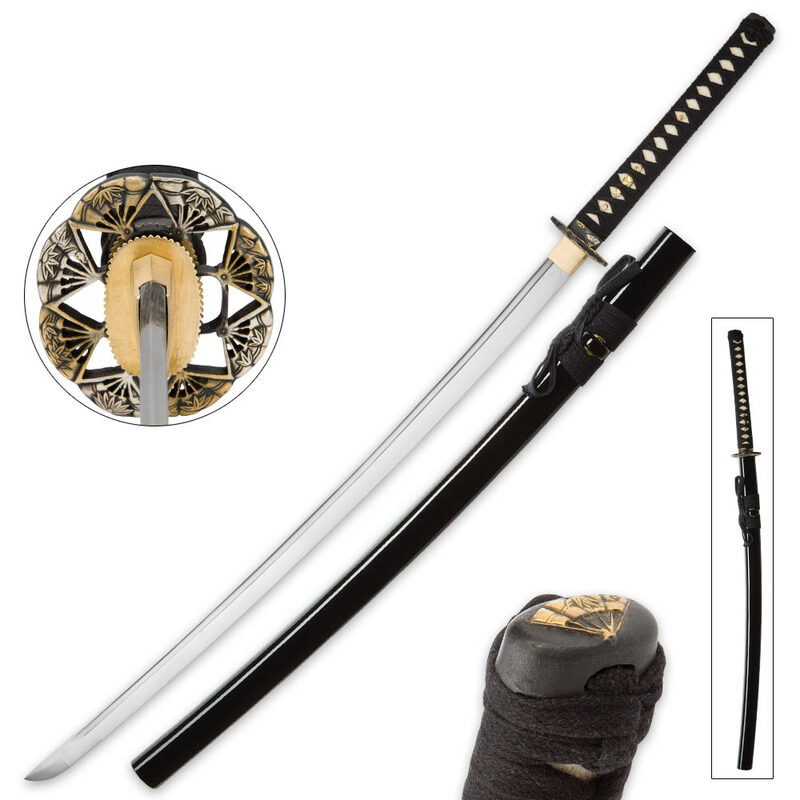 Rise Of The Samurai Traditional Katana - Sword | BUDK.com - Knives & Swords At The Lowest Prices! 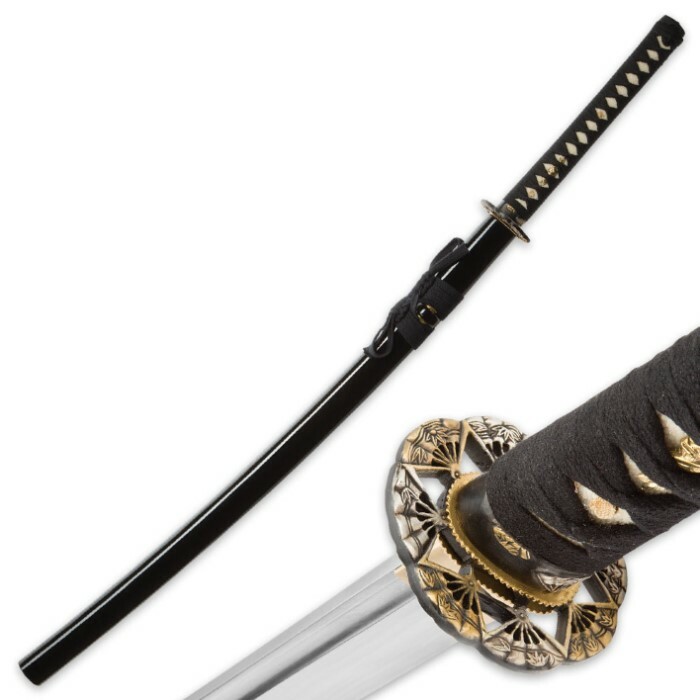 The Rise of the Samurai Traditional Katana is a Japanese sword which pays homage to the legacy of Japan’s brutally efficient yet highly cultured warriors. The Samurai were the military class of nobility and devoted most of their time to the art of combat, employing the katana as their main weapon and symbol. 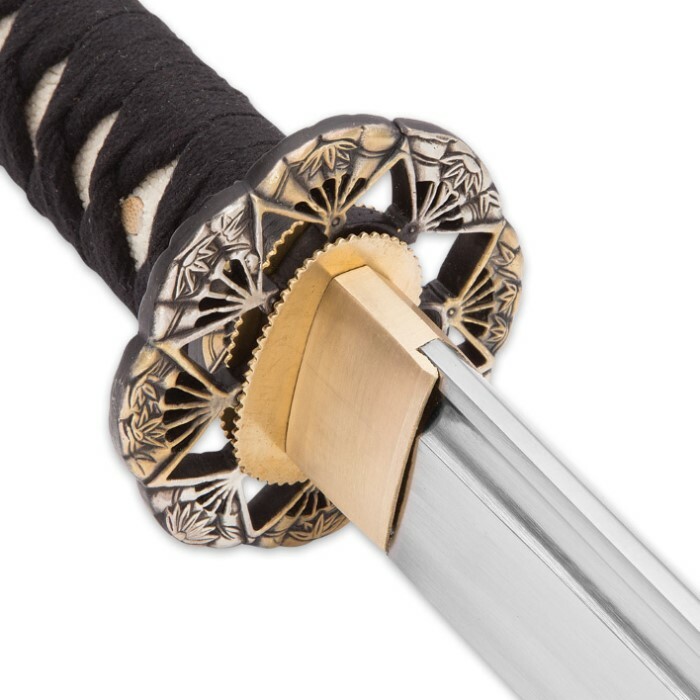 The cast brass gold and black tsuba of this sword depicts a samurai battle scene and the pommel features double hollyhock emblems, which were the symbol of the last Shoguns of Feudal Japan. The 28 1/2” 1060 high carbon steel blade is sharp and polished, also bearing a traditional heavy blood groove down its center. The hardwood handle is wrapped in genuine ray skin and black cotton cord with an ornamental menuki. A black lacquered wooden scabbard houses the blade to protect it from the elements. Also included are a sword bag and decorative gift box.